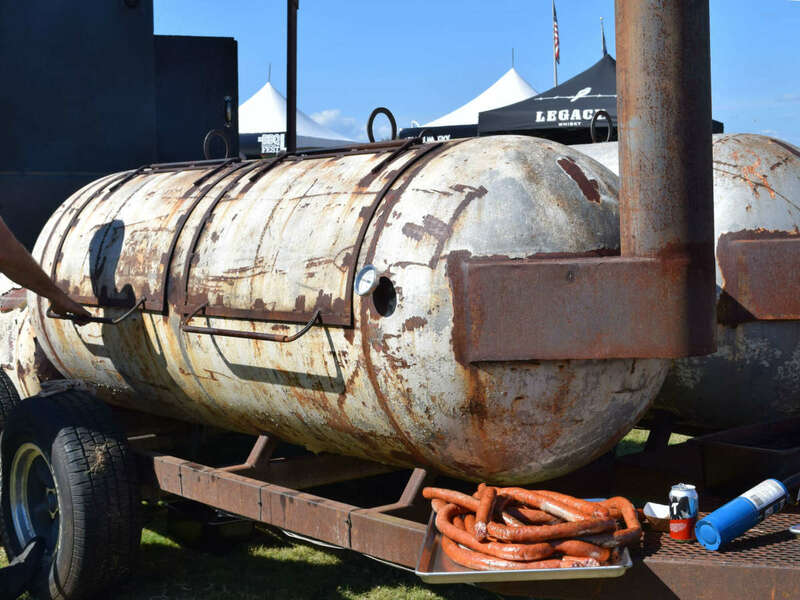 Barbecue-lovers gathered on Sunday to chow down at Texas Monthly's annual TMBBQ Fest. 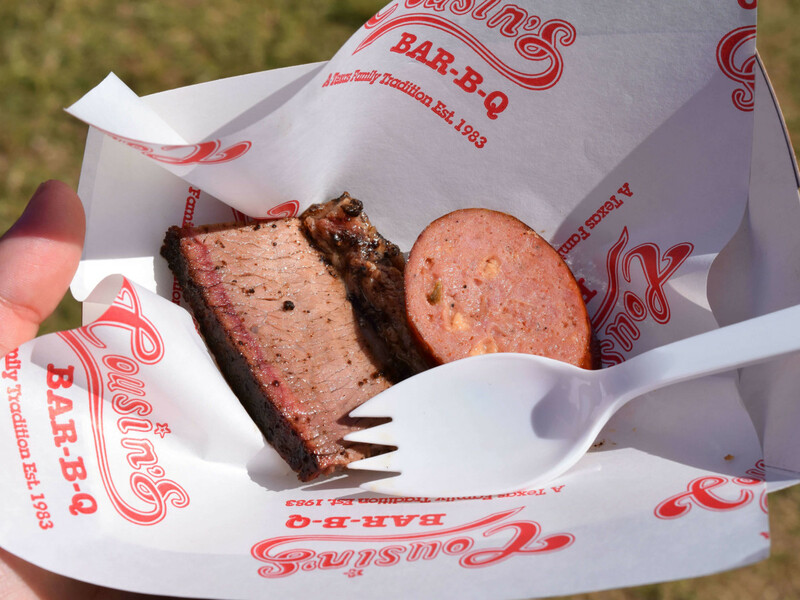 Austin's Long Center was flooded with folks eager to sample bites from 27 joints, 25 of which were honored in the magazine's guide to the 50 best barbecue restaurants in Texas. 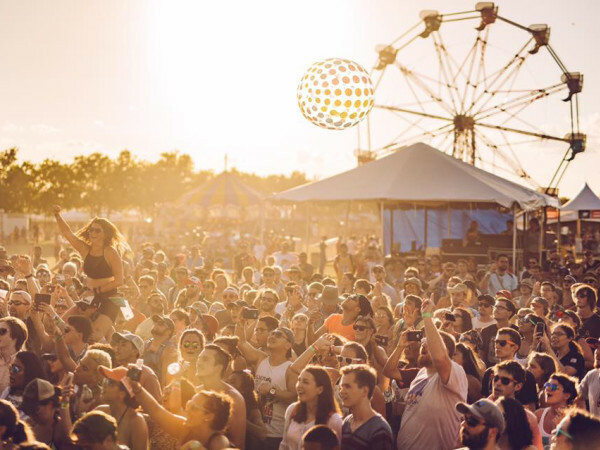 Hailing from Paris, France, The Beast was the first global participant at the festival. 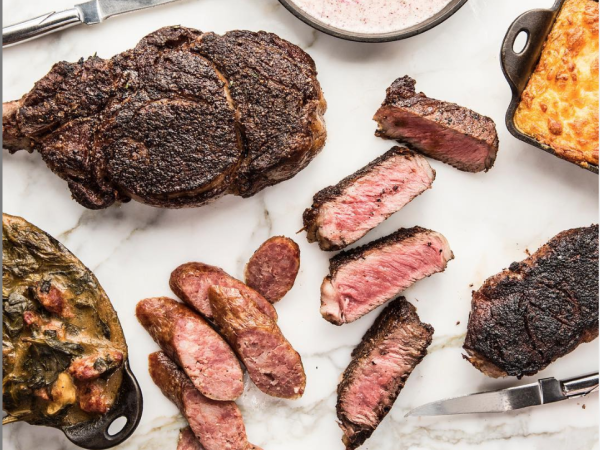 The crew presented a perfectly marbled beef rib that was tender and juicy and easy to chew. Cousin's sausage was the first link that stood out to us. This Fort Worth joint served a jalapeño cheddar sausage with a smooth consistency. The jalapeño contributed some heat, while the cheddar added a creaminess that reduced the spice. Evie Mae's dished up some of the best brisket we had all day — well worth a trip to Wolfforth, located just outside Lubbock. The meat was tender and, even without sauce, as moist as could be. The smoke ring around the meat was clearly visible and the crust boasted a delicious combination of seasonings. 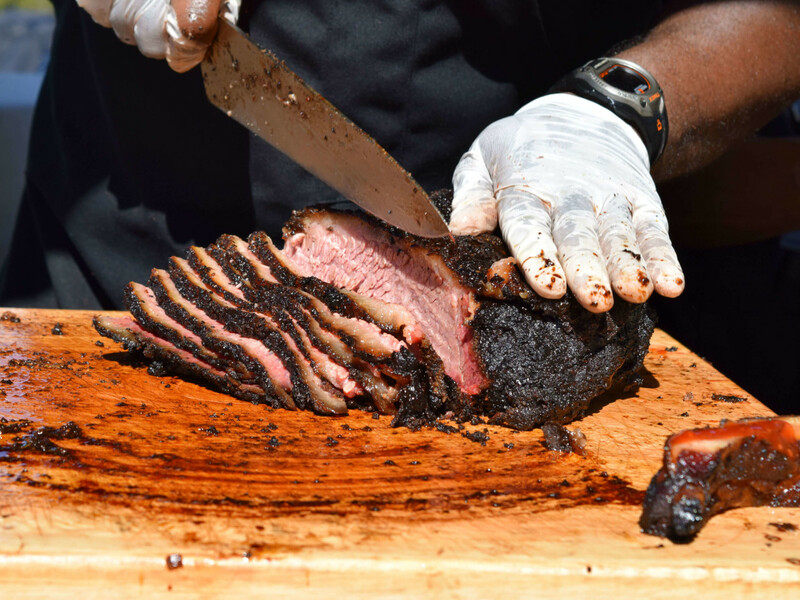 This Houston joint whipped up creations we didn't expect to see at a barbecue festival. Seafood, in the form of smoked salmon served in an endive boat with tomato jam and jalapeño crema, offered a welcome alternative to all the meat, but a beef short rib on a mound of white cheddar porcini grits also earned raves. The San Antonio spot served pork belly unlike any we've had. The thinly sliced pork, sprinkled with salt before it was served, maintained a sweetness that wasn't overwhelming. 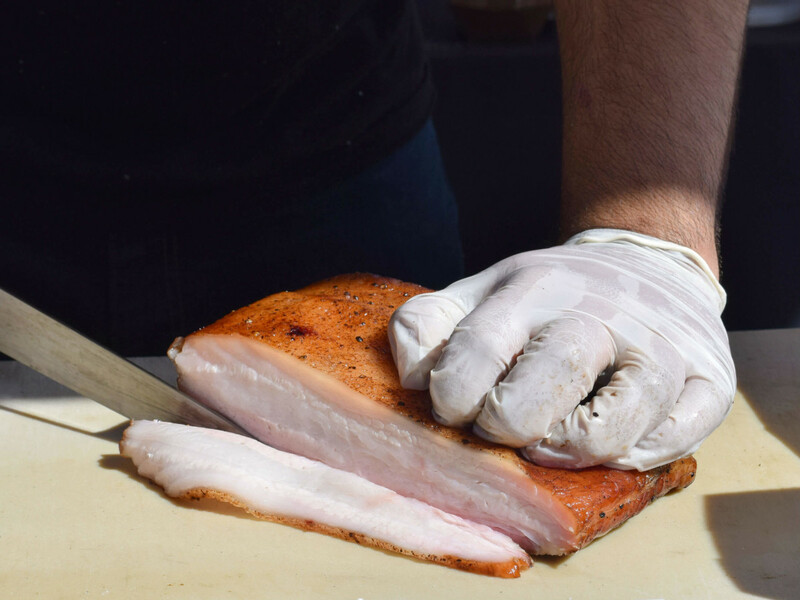 The Houston-area's best barbecue joint also offered up pork belly. 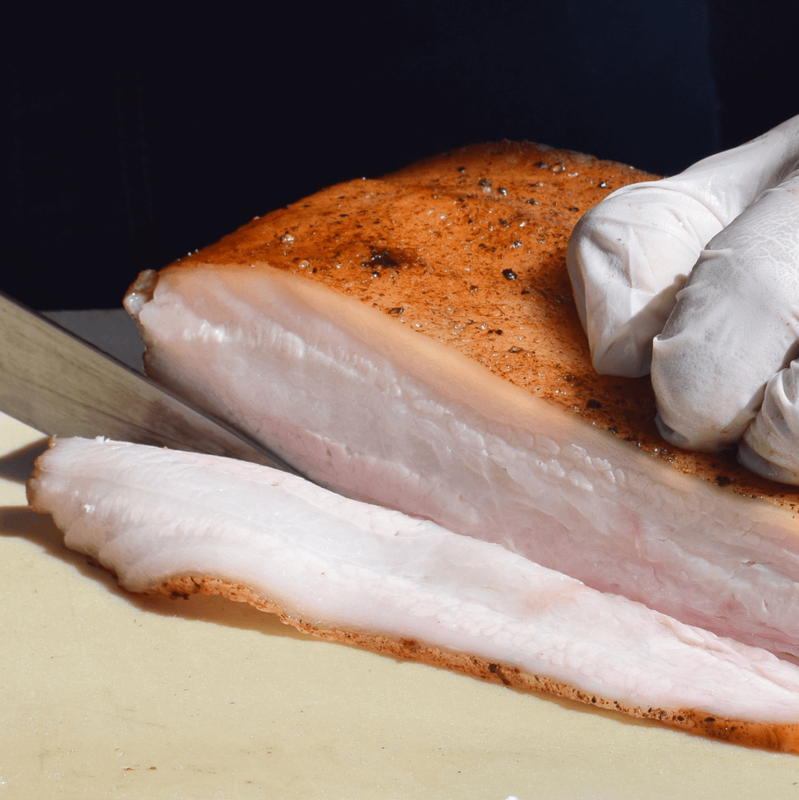 Each tasty cut was caramelized and well-rendered, with a slight crunch on the outside to contrast the soft and tender inside. 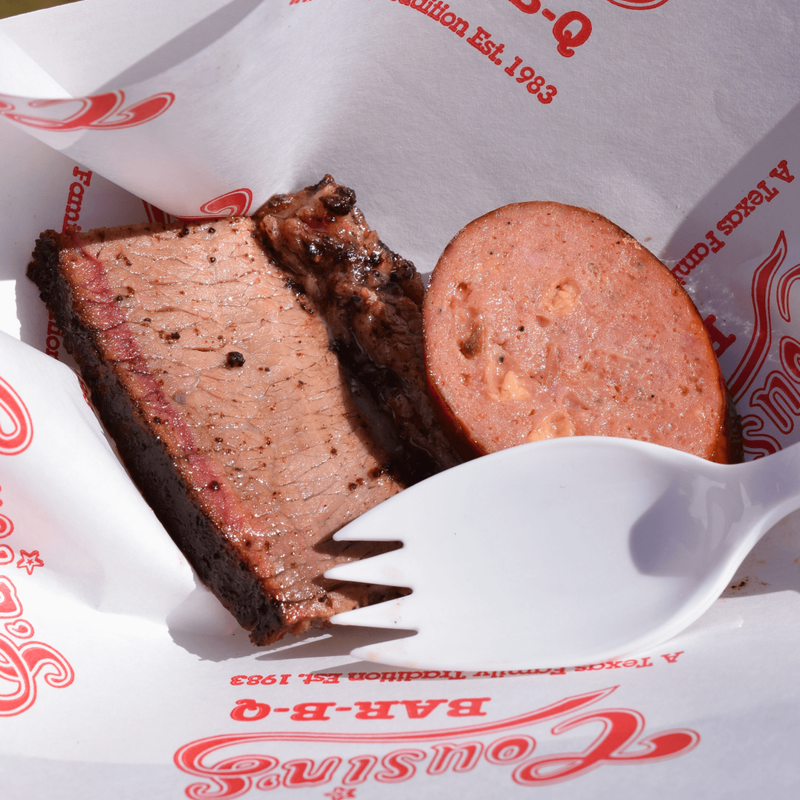 Among the Austin joints we sampled, La Barbecue stood out. The signature hot guts sausage was extra spicy, the kind of link that'll put your taste buds on high alert. The Taylor joint's lamb chop was a pleasant change of pace from the other bites we tried. The delicate meat was coated with a sweet sauce that made the handy wipes very handy indeed. 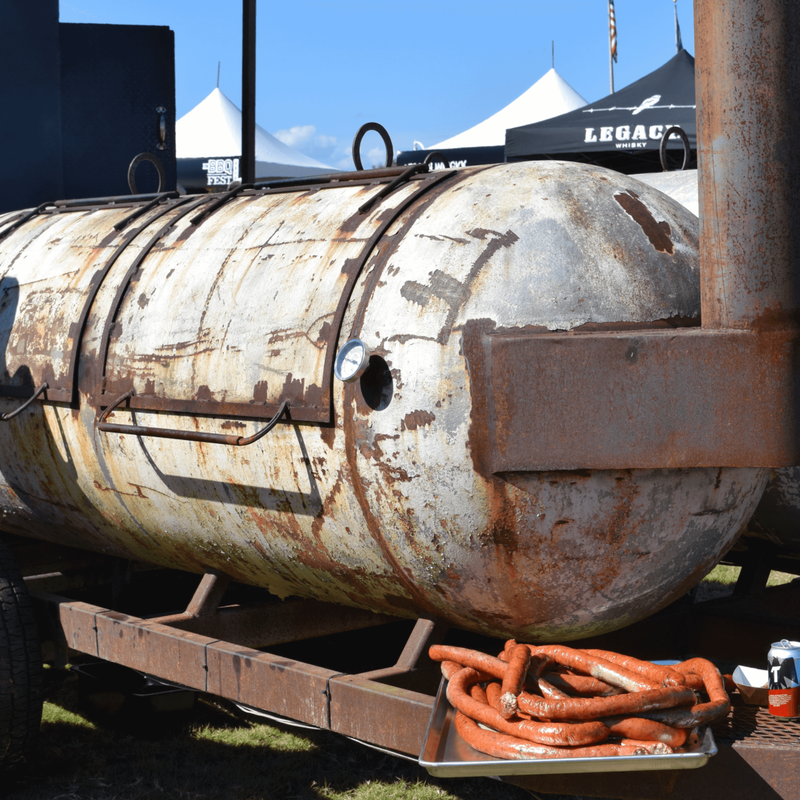 These folks from Belton know how to cook a pork loin. The pork was incredibly moist and tender, with a balanced blend of spices that wasn't too peppery. 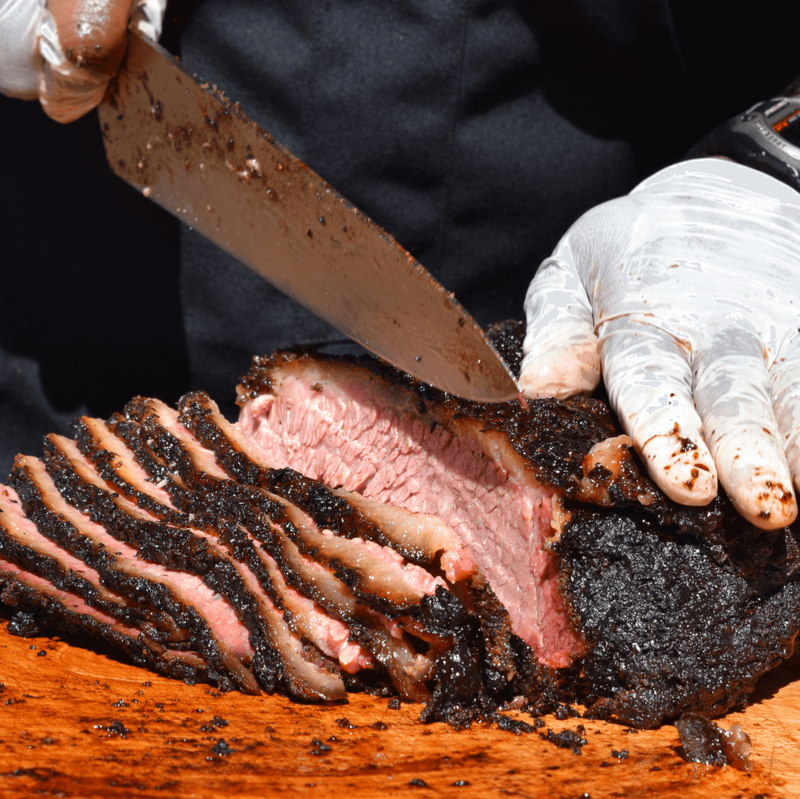 We waited in a long line for this Dallas hot spot and were lucky enough to score a coveted end piece of brisket. 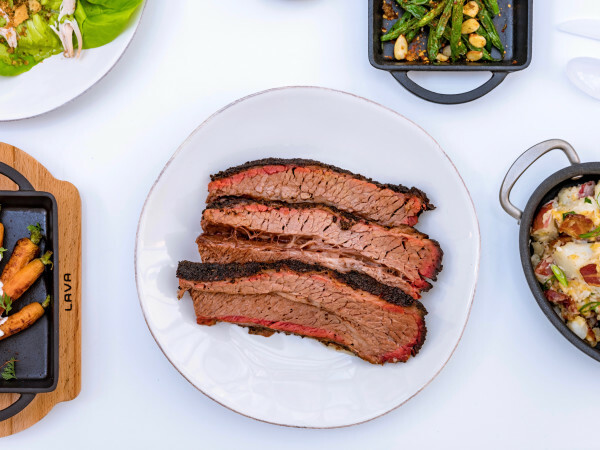 Dripping with juice, the brisket had the perfect amount of fat and smokiness that made us want to double back for more.